A great beginner's class that's fun for all skill levels. 1 class + 3 bracelets = instant gratification! 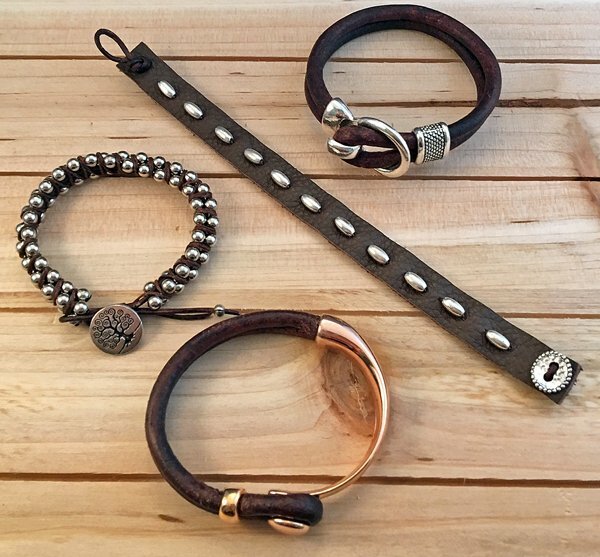 Learn to attach chain and beads to leather with waxed cord, size and glue together components, measure, cut and punch holes in leather.